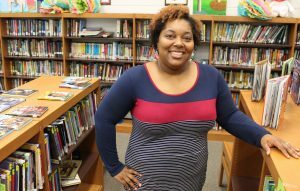 Student of the Month Erica Avent, is a full-time, sixth-grade teacher at Oxford Intermediate School, an adjunct professor with the SOE and a doctoral candidate in elementary education. Avent’s passion for education and mentoring others recently led her to be invited to appear as a keynote speaker for ASCD’s 2017 Conference on Teaching Excellence. In January, the educator, wife and mother of two took some time to sit down with us to discuss her aspirations and experiences at the SOE. I started out wanting to be a doctor, I wanted to help people. I volunteered my whole time at Ole Miss with Leap Frog and the Boys & Girls Club, and my turning point came when a student who I worked with became pregnant—she was 14. I realized then that being a doctor wasn’t the only way that I could help somebody, that maybe if I had been her teacher I could’ve helped her. By my junior year, I was doing great but I was just miserable in biology. Every day I looked forward to being able to go to Leap Frog and the Boys & Girls Club, and work with those kids and inspire them. I would tell them, “I’m in college and yes, I came from a small town and my parents are divorced.” While mentoring those kids, I realized I would love to do this every day. So I took that leap, I transferred my major and I never regretted it. I enjoy the students. I love working with students and trying to discover that one trigger for them. I love getting a student who has hated school until they get to me in the sixth grade, and they say, “This is the best year I’ve ever had.” I love turning learning back on for them. A lot of kids tune learning out, and I love being able to turn the sound back on for them. My philosophy on education is that, as a teacher, I am Home Depot. I’m a tool provider. No matter what the job, or what you’re trying to do, I’m going to help you get to that point. Sometimes I need to be a sledgehammer to knock down the walls that you’ve built up, and sometimes I need to be a screwdriver to screw in those concepts. Sometimes I just need to be that voice of security to know that you’re protected when you come here. I would love to continue doing something along the lines of professional development. Before I worked in Oxford, I worked in other schools, and one thing I find in districts across the state and across the country, is that teachers are leaving the profession. They feel like we’re turning out so many programs every year that we have to do and we’re not providing them with the tools that they need to be effective teachers. I would love to be working in professional development or mentoring within a district, especially new teachers because I really do feel that you can inspire and encourage an ‘okay’ teacher to become a great teacher. 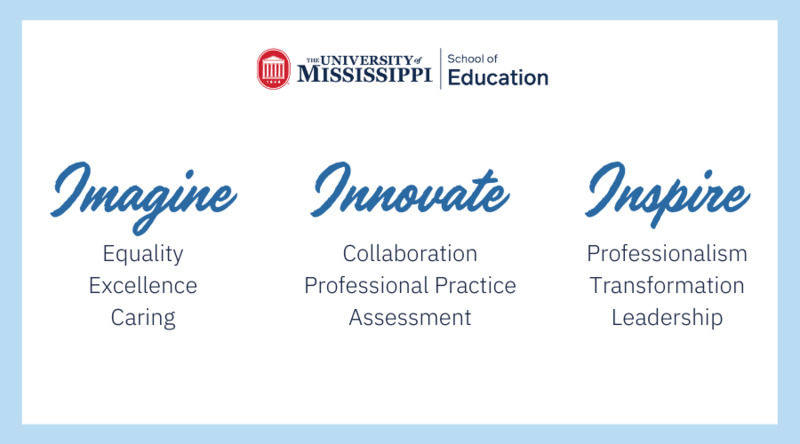 What’s something you really enjoy about your doctoral program? I love the collaboration with other teachers, I have so enjoyed that. We meet and have classes with teachers who are pursuing special education, counseling, higher education and secondary and elementary education, and we’re all in the class together and we’ve all been in the classroom. So the think tank of ideas that we all have is special, and to give us a problem and see us think through it together has been so rewarding. I love it, I’m actually teaching again this semester. Becoming an adjunct and going from sixth-graders to college students is totally different, but it’s rewarding because I love that I’m sharing my passion of education with students who want to go into education. With sixth-graders, I share my passion for science, and I try to inspire and motivate them to see the wonders of science. I feel like I do the same thing with my college students—I try to inspire them because this is one of the most rewarding professions. I have enjoyed sharing my passion with college students. I’m an HGTV junkie—I love restoring and those kinds of projects, and I love to scrapbook. I’m also an avid reader, and it’s very interesting because I like to read about education. In my down time I’m always reading books about education. Advice for students pursuing education? The message I try to share with every student teacher that crosses my door, every teacher I come in contact with, is that you have to first believe in yourself before your kids will believe in you. You have to give them something to believe in.